Rare Dellwood River Estates home overlooking the Rum River. Open concept with all living on one level, vaulted ceilings, gas fireplaces, hardwood floors - new carpet and fresh paint throughout. New Granite countertops just installed! Main floor master bed w/en suite and walk in closet. Additional bed and full bath on main as well. 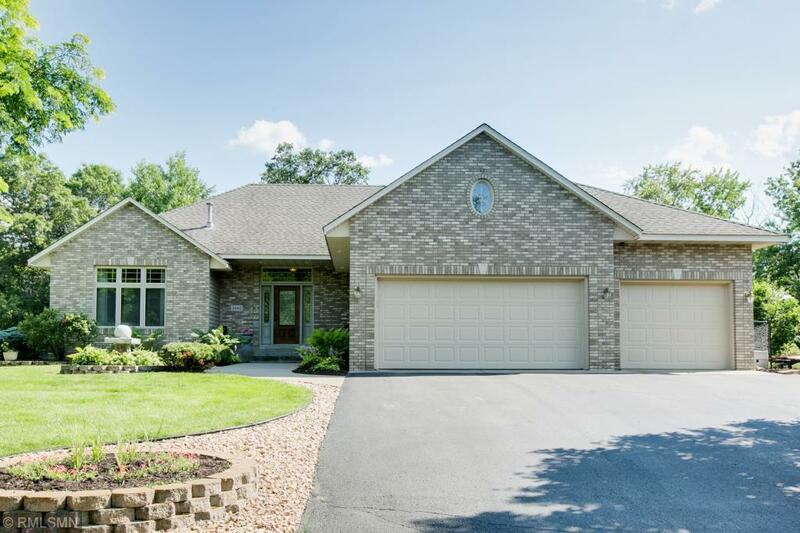 Lower level features wet bar, gas fireplace, family room, ex large bedroom and 3/4 bath. LL walks out directly to the Rum River and walking paths. Garage is insulated. Irrigation system and picturesque landscaping.